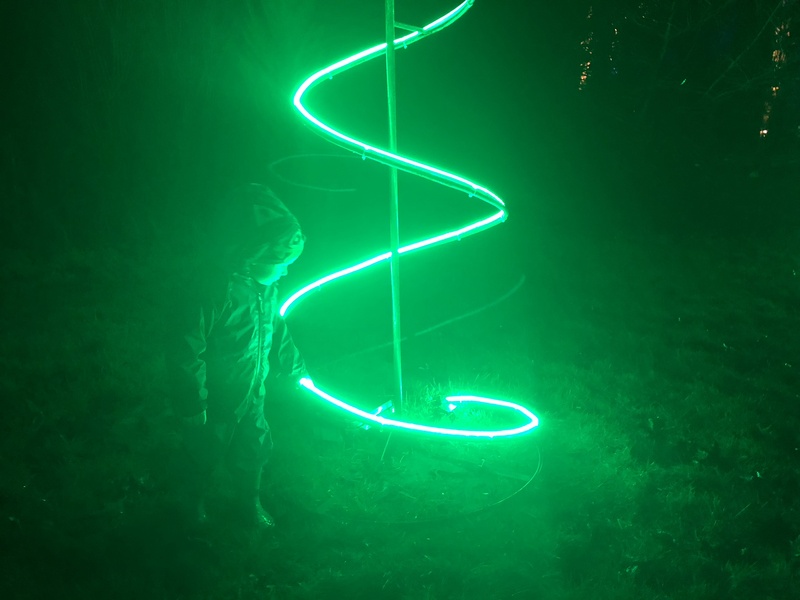 Yesterday was December 1st and all of a sudden the radio was blaring Christmas songs, lights appeared along every street and of course we put our Christmas decorations up – so we were feeling a little bit festive despite the damp and gloomy weather. 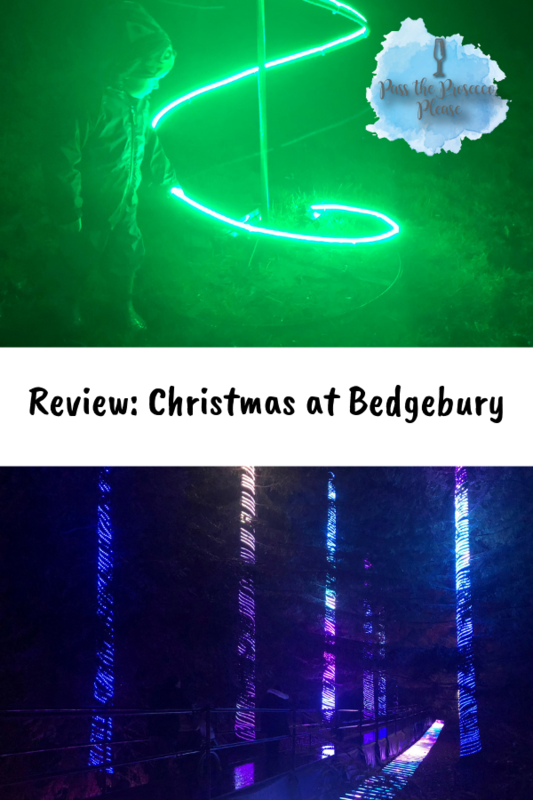 We were invited to check out Christmas at Bedgebury – a magical illuminated trail through Bedgebury Pinetum after dark and so we headed down to see what it was all about. Entry is staggered – we were given a time of 4:45pm and so we arrived at 4:30ish and parked with relative ease; we then headed past some fairground rides and musical fountains past the Café to the start of the trail. The trail is a circular route just over a mile long that is suitable for all ages and is also suitable for pushchairs and wheelchairs. 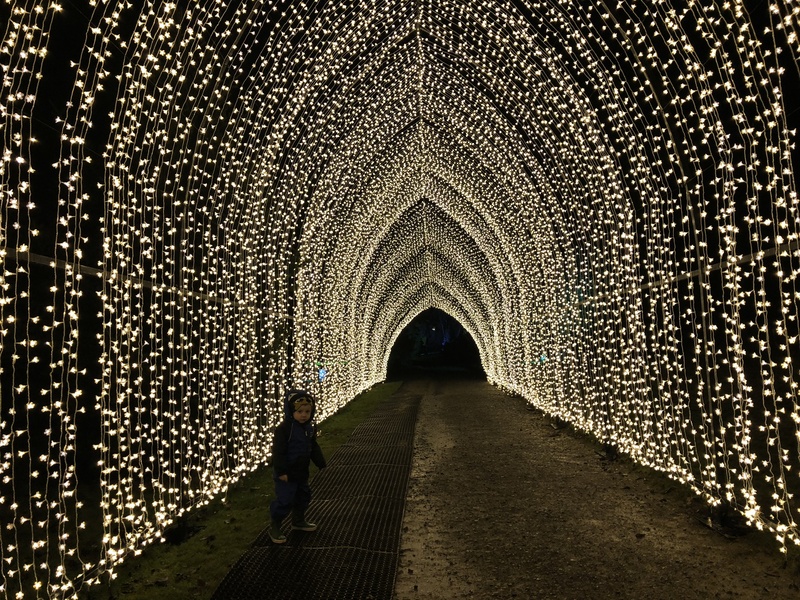 You follow some festive spotlights that lead you to various areas which are lit differently with arches and various lighting effects and set to music – and each area is stunning to say the least. There are plenty of staff dotted around the route and everyone was pleasant and friendly, greeting us as we walked round – it was a really nice atmosphere and was nice to see the staff equally as jolly despite the wet weather. Half-way round is a seating area complete with a fire display on a lake, fire pit, artisan marshmallow stall and hotdog/hot drinks stall. 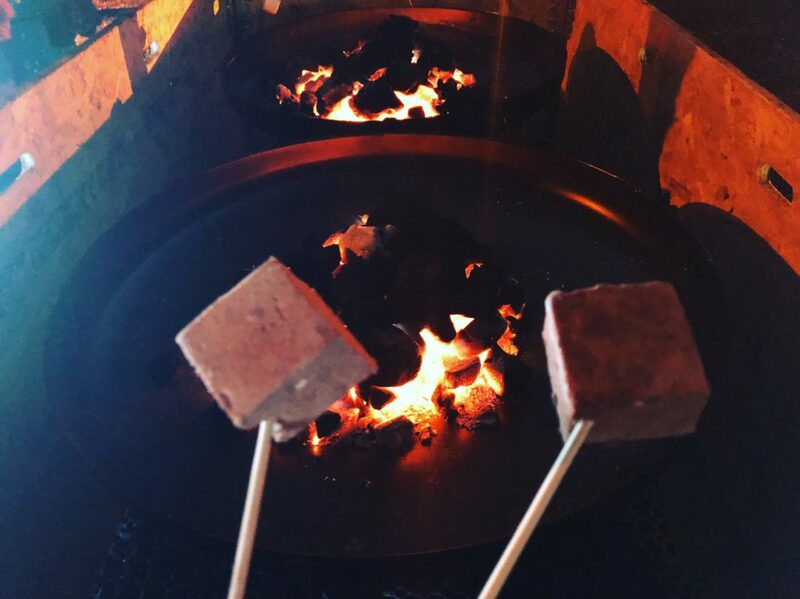 We treated ourselves to some chocolate marshmallows to roast on the pit and decided to go all out and have hotdogs too – there is a veggie hotdog on the menu, a very welcome treat for me. 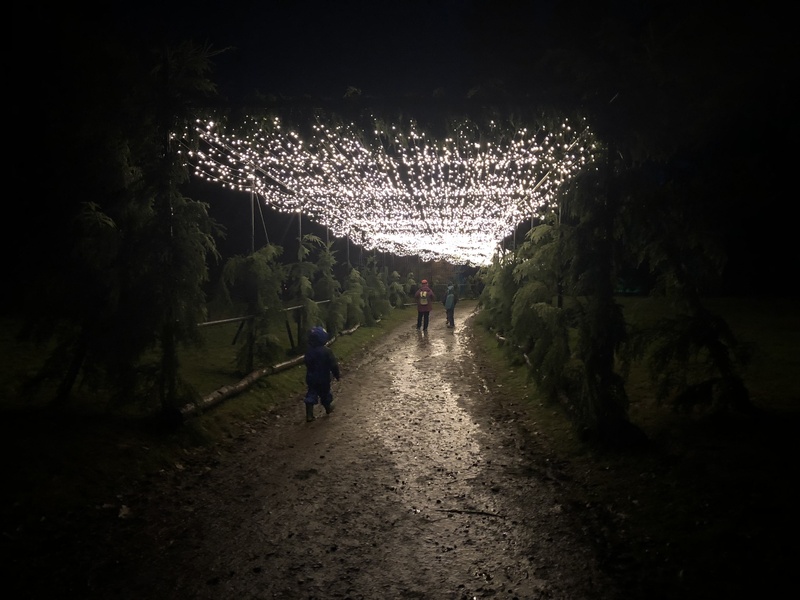 We carried on following the trail and spotted a mistletoe photo booth before the best part – a walkway set to music and synchronised lights that was just incredible. The trail ends at the start by the Cafè. The boy wanted to go on a couple of rides – he screamed his way around the Ferris wheel(I looked like the worst parent ever but he insisted he wanted to go on) and sat with a face like thunder on the merry-go-round before we headed home, feeling suitable festive and happy. We stayed around two hours; the trail took around an hour but could be done quicker or slower, you could make an evening of it but aside from the trail, rides and food/drink stalls there isn’t anything else to do. 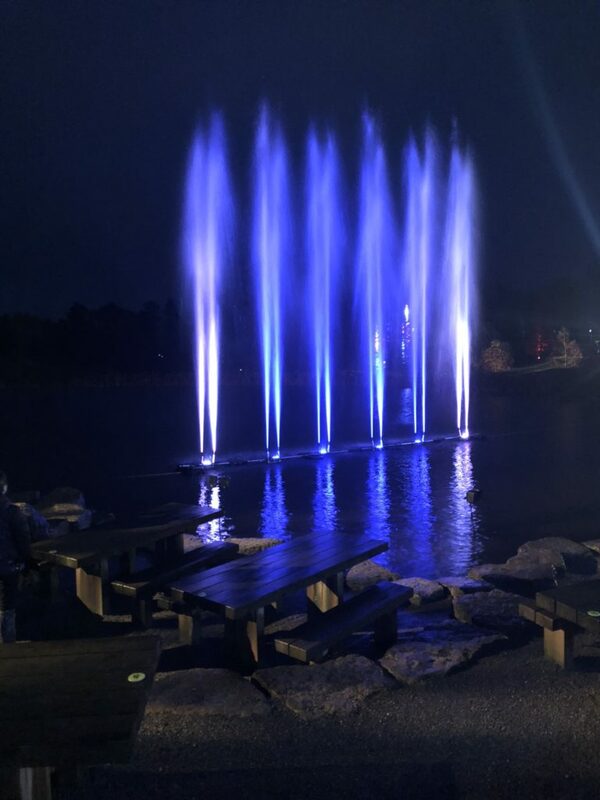 Absolutely – the lights and illuminations are absolutely breathtaking and it surpassed all expectations I had. 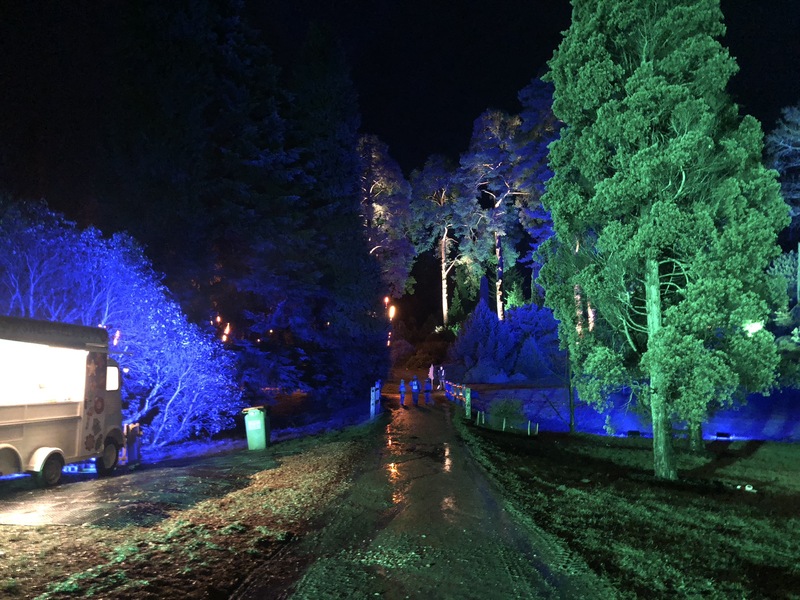 It is definitely not just a few lights here and there – a lot of time, money and effort has gone into creating the trail which mixes Christmas and nature perfectly. It’s just fabulous! Once inside I paid £3 for two marshmallows – they were yummy but a cheeky tip – there’s nothing to say you can’t take your own. For two hotdogs, a fruit juice and bottle of fizzy drink it cost £15 – a little on the pricey side but the food was nice and of good quality. There are four children’s rides, for which you need tokens. Tokens are £2.50 each and must be bought from the box office, meaning you have to walk out to get the tokens and go back in if you don’t buy them on entry(this isn’t suggested anywhere on entry either). It’s not far and not a huge deal but is a little awkward. We paid £5 for two tokens, for two rides – each ride is one token per person. For one adult and one child under 5 the evening cost me £23 – if I’d paid for tickets it would have cost £50 which unfortunately is a little outside of our budget for going out. I’d recommend wellies/decent walking shoes as it is uneven and was a little muddy, however we’d had a lot of rain and the grass/muddy areas were covered. Also wrap up warm and dress appropriately for the weather as it’s all outside. Some food and drink stall did take card payments but I’d take cash for the smaller stalls. There are plenty of opportunities to take some festive photographs plus well behaved dogs are welcome but must stay on leads, I wasn’t aware of this but would totally take the dog along for the fun. 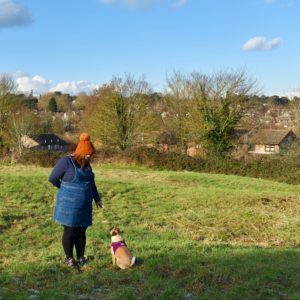 The trail is about a 5-10 minute walk from the car park – it’s past the fountains and cafe, so I’d arrive a little early to get there in plenty of time. It was busy in places – I’d recommend holding back to let the rush of people go so you can take a little more time. You don’t need a torch – it’s really well lit and just watch your footing on uneven areas. The FAQ section on the website is really informative and tells you all you need to know – you can find it here. The only negative was getting out – there was a huge amount of cars coming in and out and twice I was directed down a dead end resulting in some pretty stressful tight manoeuvres; the exit wasn’t marked at all. Overall it’s a difficult one for me – it’s absolutely amazing and a well organised magical experience but it is expensive. I’d absolutely go again, 100% but the cost makes it a little difficult on a budget. 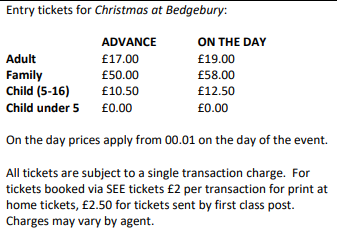 For more information on Christmas at Bedgebury and to book tickets click here.